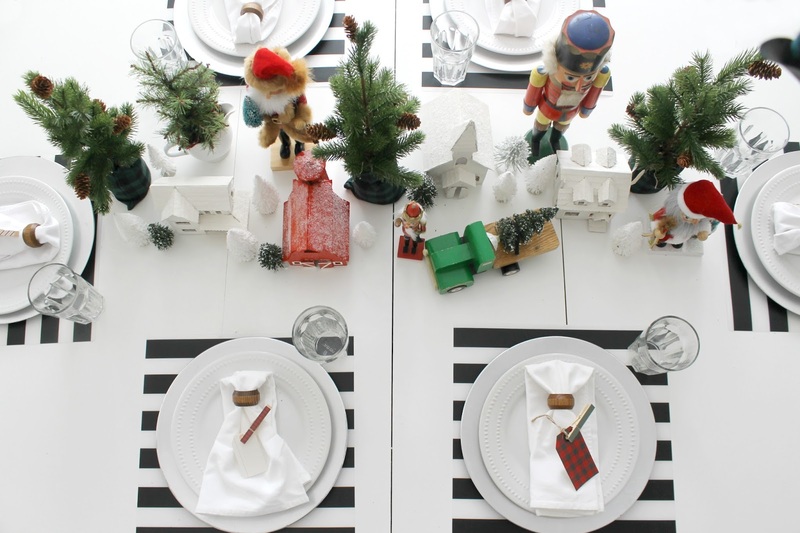 I love to put together fun tablescapes for special holidays and celebrations. Do you too? 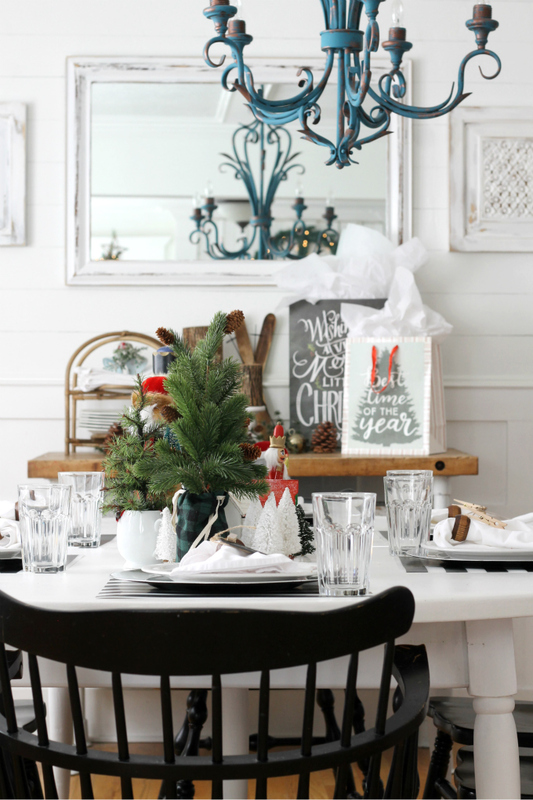 Well today, I have a Cheerful Kid-friendly tablescape to share with you, But also, I am joining up with some other awesome bloggers who are also sharing their Christmas tablescapes. 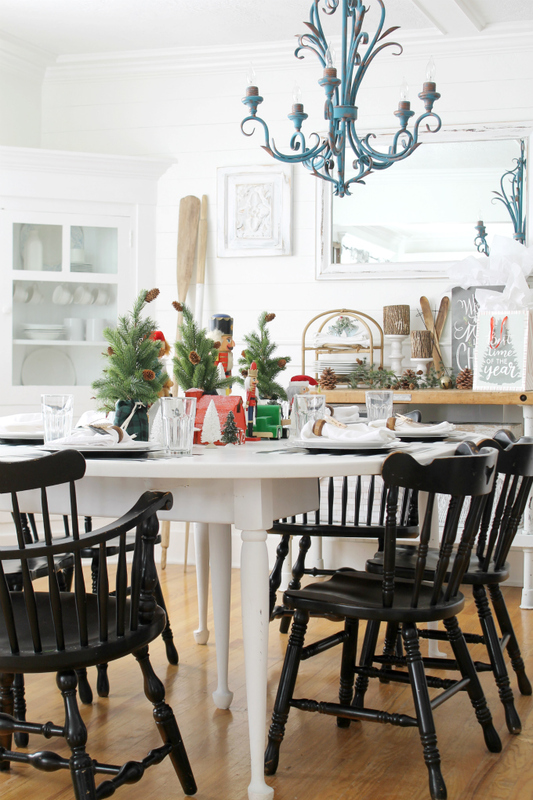 So follow along on this tour to get lots of ideas for your own Christmas tablescape. You can find all of the links at the end of this post. A big Thank you to my sweet friend, Alicia, from A Burst Of Beautiful for inviting me to join in. When I asked my two boys what their favorite Christmas decorations were that we own, they replied, "the nutcrackers and the little village". 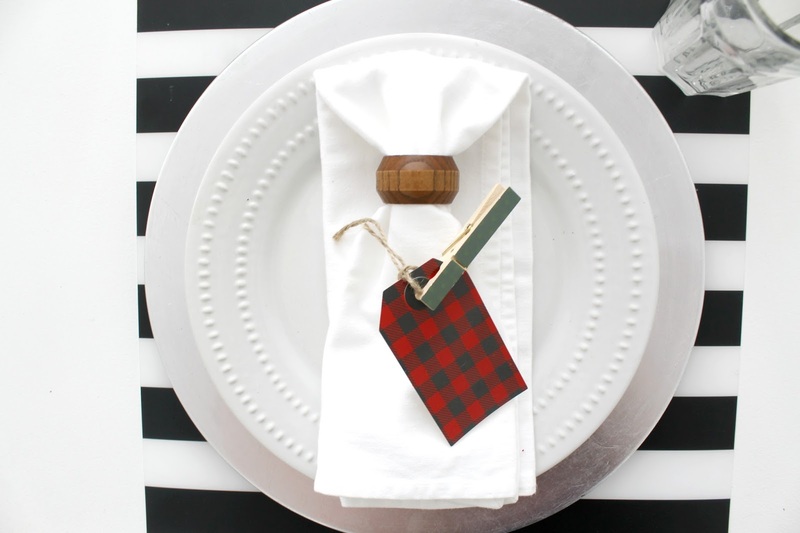 And so I wanted to create a special tablescape of their favorite things that they would find cheerful. Now, I knew they would say, "The Nutcrackers" because the nutcrackers are a fun family tradition that we do every year. 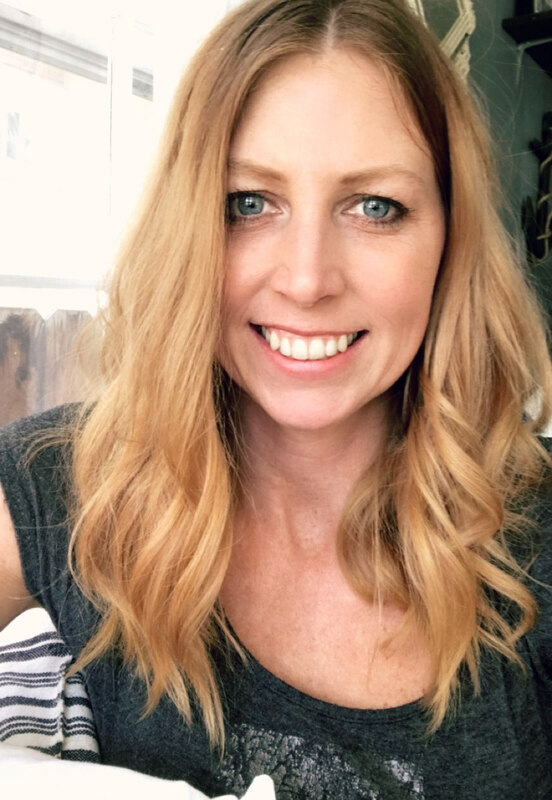 It all started with my husband. Growing up he and his mom would pick out a new nutcracker every year. And now we carry on the tradition with our boys. So as you can see, we have quite the collection of nutcrackers. 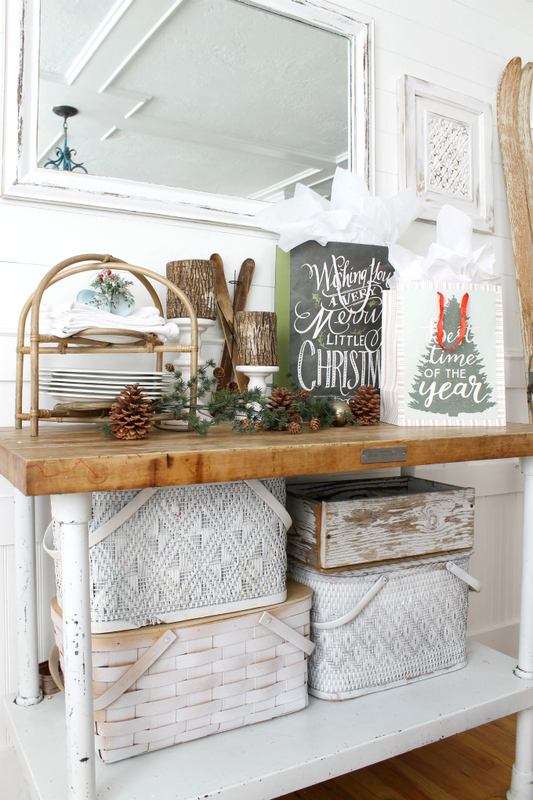 Most of which are grouped together on an old dresser in our dining room. And then a added a few more into my tablescape. I made the village one year out of a kit that I had picked up at a yardsale to use in that years Christmas decorating. But since then, the little houses were starting to fall apart a bit, and I wasn't being very carefull as I was packing them away. But since now I know it's a favorite for my boys, I got out the glue and fixed them all up again and will be a little more careful with them from now on. I also mixed in some little trees that I have been collecting throughout the years. 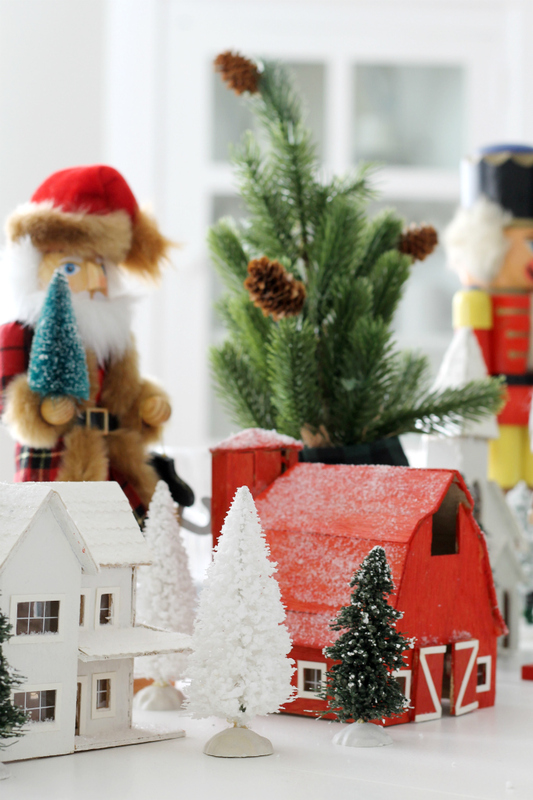 I think the mix of nutcrackers, trees, and the village, all look really cheerful together. 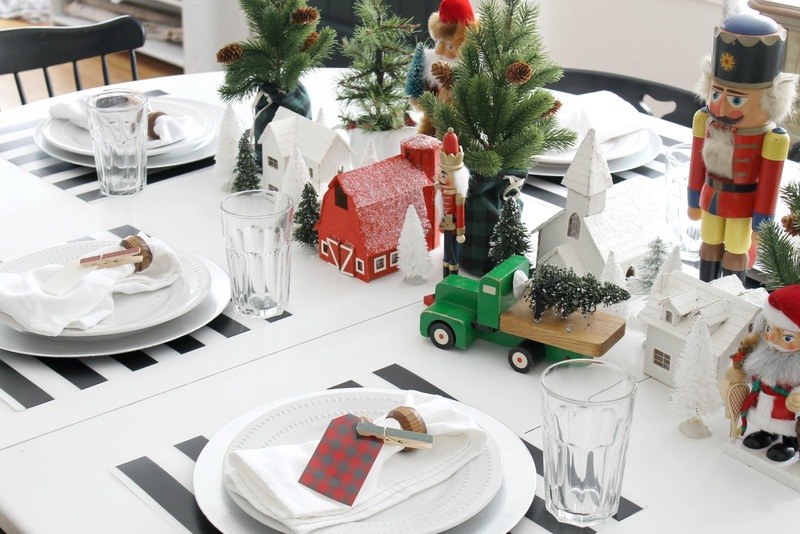 As for my place settings, I started off with my beloved black and white plastic platemats from Ikea. 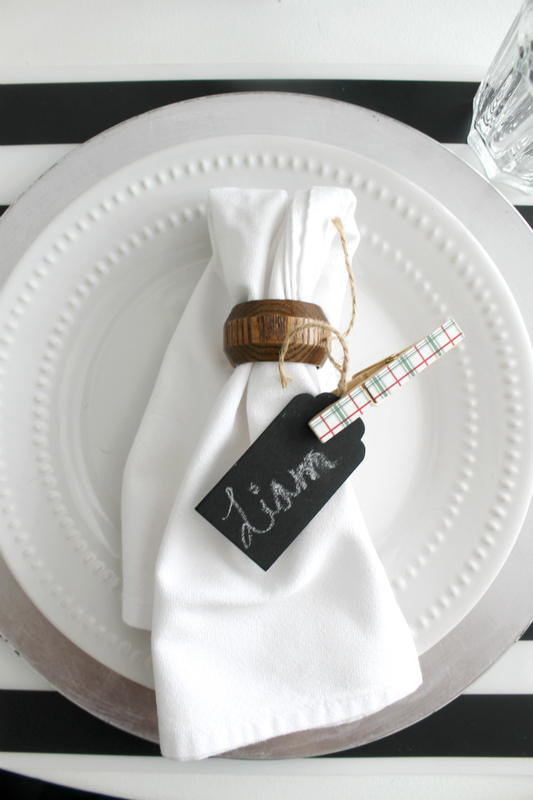 Then I added a silver charger, white plate, a napkin with a wooded ring, and then for a fun touch, I placed a tag to the napkin with a decorative clothespin. All of the tags are different, some of them are even chalkboard ones that I had. The clothespins I got this year from Target. My mother in law and I found a fun yardsale this summer, where a wedding caterer was selling a ton of tablewares. That's where I picked up the chargers, napkins, and fun wood rings. I pull out my grandma's skis every Christmas as a little reminder of her. 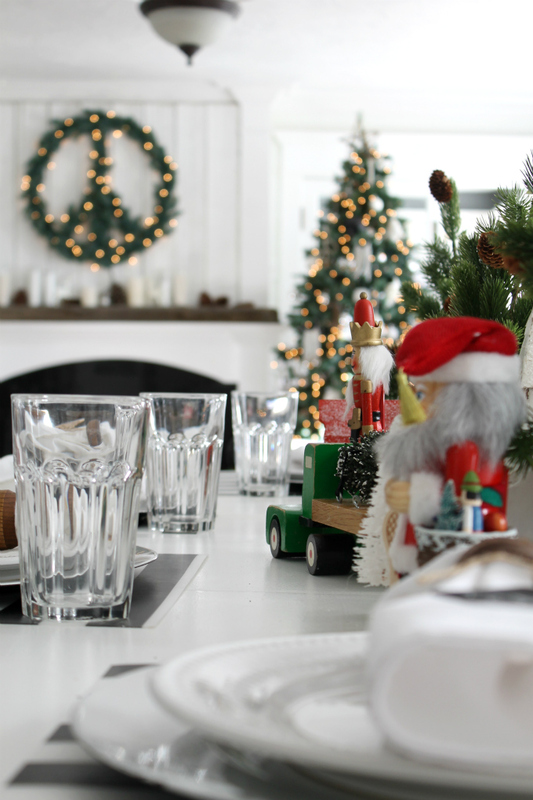 This year I placed them in our dining room. 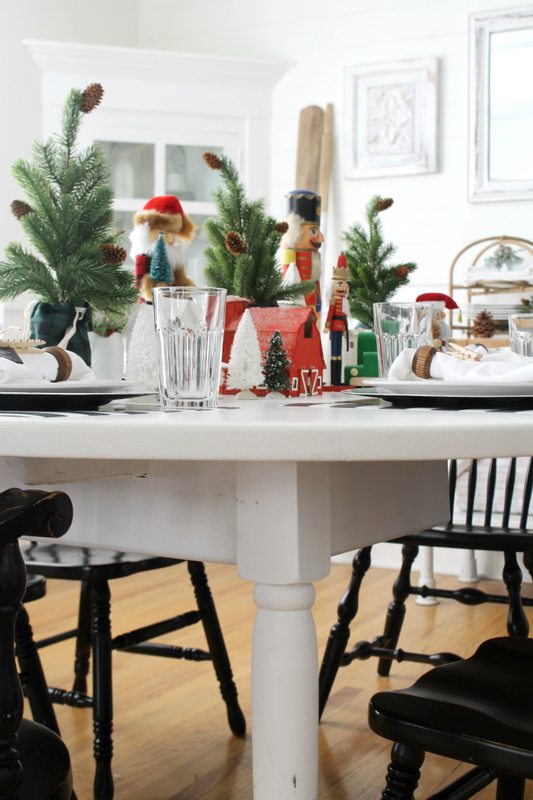 I did some simple decorating on the butcher block table that's also in our dining room. I like to use gift bags as decorations because I think they add a fun touch. These ones are from Target. 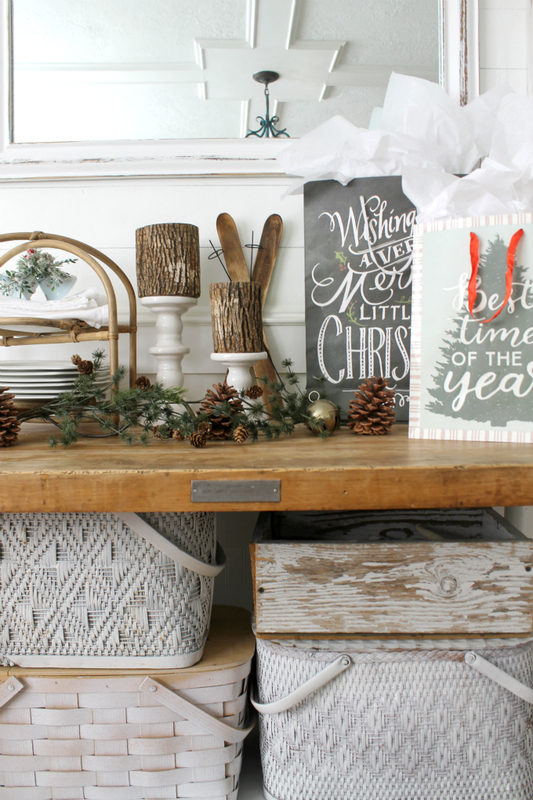 Gift bags look cute sitting around the house, and then they are easy to grab when you need to give a quick gift. 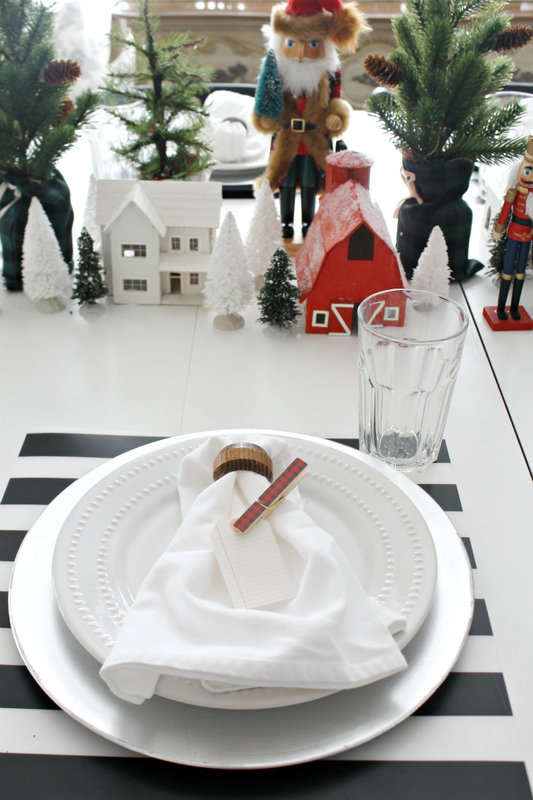 And there you have it, my cheerful kid-friendly Christmas tablescape! I'll be back later this week to share the other side of the room with you, which is our living room. So please come back for that. 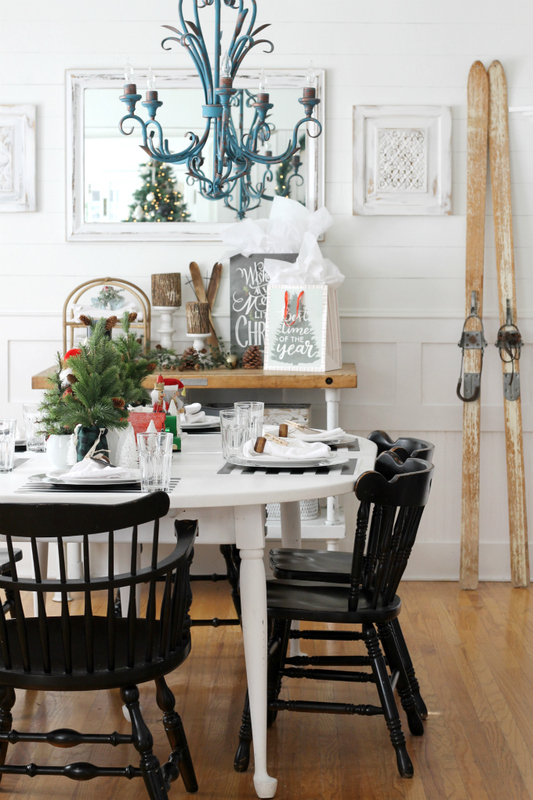 Okay, now let's go check out the tablescapes that my blog friends have created. I have some old skis that I like to pull out too. What a special memory :) this is beautiful! 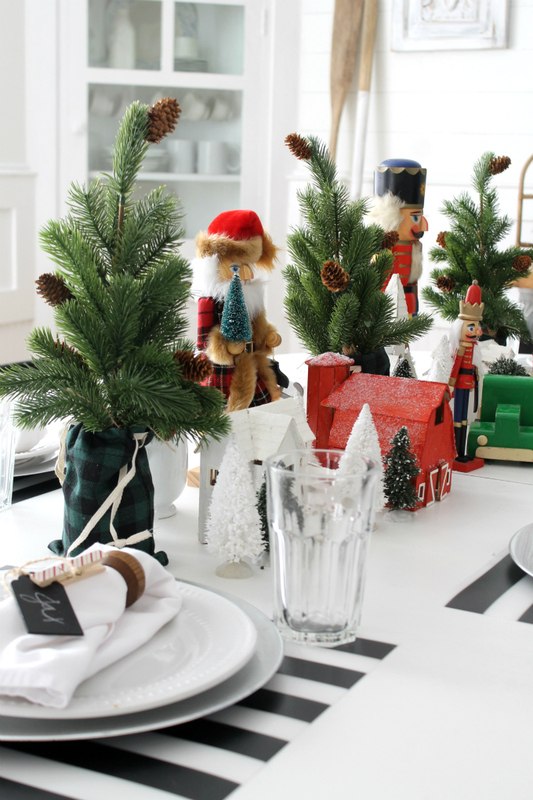 Love your Nutcracker collection, they add so much charm to your table. Amazing!